HOW TO REGISTER FOR AMU PIE COURSES? The registration forAMU-PIE courses will be open from 27 February until 15 March 2019. In the attachment, pleasefind attached the instruction how to register for AMU-PIE courses. All the students meet in front of room XVII at 9:45. You will find more detailed programme in the attachment. The registration for AMU-PIE courses will open on 8th October. In the attachment, please find attached the instruction how to register for AMU-PIE courses. We invite all the students for the INAUGURATION DAY whichwill take place on 1st October 2018at Collegium Minus – Main Auditorium (Aula UAM), Wieniawskiego 1 Street. All thestudents meet in front of the Main Auditorium at 15:45. UEFA EURO 2012™ legacy is still alive in Poznań! Started in 2012 EUROASMUS AND FRIENDS CUP will take place for the 7th time this year! In 2012 - Poland. In 2013 - Switzerland. In 2014 - Norway. In 2015 - Georgia. In 2016 - Spain. In 2017 - Portugal. Who wants to be a 2018 champion? EUROASMUS AND FRIENDS CUP 2018! - 10 teams will participate in the competition (first come first service rule). - Participants of the tournament are international students (studying in Poznan), representatives of their home countries and/or their international teams, including team Poland. - Teams represent exact countries (at least 4 players must be citizenships of that country). - Only 1 team can represent exact country (first come first service rule). by June 1st, 2018 (23:59). - The teams consist of at least 6 players (max. 10), including a goalkeeper. - Single player can represent only one team. Erasmus Office (open from 8 am -3 pm). "Research methods in environmental sciences"
This Workshop is organized primarily for students and young researchers interested in different methods and their applications in various fields of natural sciences. The Schuman Institute of Thought invites you to take part 'Easter without borders' project. The project's main purpose is to organise the hosting of foreigners in Polish homes during Easter. The aim is to create a new model for integrating people from abroad and to help them assimilate by enabling them to learn more about Polish culture, traditions and Christian faith. Inviting international students to share Easter celebrations is also an opportunity for Polish families to develop their knowledge of other cultures and create new relationships. On Monday, February 26th, all incoming Erasmus+ students, who are starting their adventure at AMU in a spring semester 2018, were greeted by some of the key people for AMU International Relations, including the Vice Rector for Research and International Cooperation, prof. Ryszard Naskręcki and International Office staff. The Erasmus Student Network and the City of Poznan joined in to welcome our students! For the second time the Schuman Institution is organising the 'Christmas Eve without borders' project. The project's main purpose is to organise the hosting of foreigners in Polish homes during Christmas Eve. The aim is to create a new model for integrating people from abroad and to help them assimilate by enabling them to learn more about Poland's culture, traditions and Christian faith. Inviting international students to share the Christmas Eve celebrations is also an opportunity for Polish families to develop their knowledge of other cultures and create new relationships. On behalf of the Student Council of Adam Mickiewicz University and ESN UAM, we would like to invite you to a Christmas meeting organized for International Students at AMU. The meeting will take place on December 13 (Wednesday) at 6:30 PM at the Faculty of History at Morasko Campus. After the official part of the meeting, we invite you to taste some traditional Polish Christmas dishes. 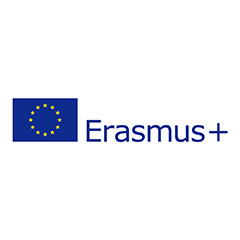 On 15th June 1987 the European Community decided to start the Erasmus program. Since 1998 under the Erasmus+ program 188,000 Polish students have travelled abroad to study at partner universities, while 94,000 students from other countries have come to Poland for their studies. In the period up to 2014 Warsaw University received a 3.4 million euro subsidy for the mobility projects and Adam Mickiewicz University a similarly high amount – 2.1 million euros. These statistics illustrate the huge success of the mobility projects and remind us that on 11th January 2017 we can inaugurate the 30th anniversary of the Erasmus program in Europe. A local delicacy is the Saint Martin croissants - rogale świętomarcińskie, a gorgeous iced croissant filled with nuts, poppy seeds and cream. The history of these delicious croissants goes back to 1891 when the parish priest of St. Martin appealed to his congregation to do something for the poor on St. Martin’s Day on 11 November. The taste, smell and appearance of the dish is taken so seriously that even today there is a certification scheme which annually accredits confectioneries with labels “Poznanski Tradycyjny Rogal Świętomarciński”. It is said that several tonnes are eaten on this day every year. Timetable for winter semester 2016/2017. The countdown has begun: your Erasmus adventure at AMU is coming soon! Please check out this full of challenges and fun event which is organized by Poznan Town hall. Admission and registration information for international students was updated. New version is here. Do you want to find out about your own intercultural sensitivity and competence, and identify barriers impeding contact at the crossroads of cultures? Workshops on intercultural skills will help you to familiarize yourself with values and norms that are typical for various cultures, and also – on the basis of theories learned during the workshop – develop the ability to interpret them. The Institute of Public Affairs invites students to free intercultural workshops, which will take place on 17-18 March 2015 at the Institute of Public Affairs (ul. Szpitalna 5/22) in Warsaw.